Do you have a coworker who always has to take a sick day, or a friend who constantly seems to be bailing out of plans because they caught a cold or the flu? Maybe you have a boss or family member who is the opposite - he or she is rarely sick. Some people just have better immune systems, but there are also secrets to better health that can help you to avoid common illnesses. If you are one of those people who tends to catch a cold often and you’re sick of having to call off work or miss important events, taking a look at your daily habits could help you to end this. Staying healthy, keeping your body in top form and avoiding illnesses can be done by eating right, getting the right amount of exercise and sleep, and learning how to fend off stress. 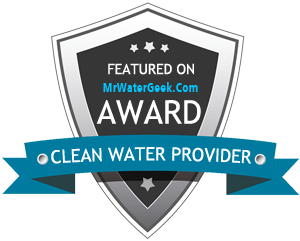 Even something small like using a Colorado Springs water delivery service to ensure your water is free of chemicals or viruses can help you. Here are some tips to help you keep yourself and your family healthy during cold and flu season. Nutrition is talked about often when it comes to losing weight or building muscle, but it isn’t always a big topic when it comes to warding off illnesses. Pumping up your family’s nutrition can actually increase their immune system and held them to ward off illnesses. High performing foods that have vitamins A, B, C and E can all help. Most nutritionists or diet specialists recommend yellow or orange-colored fruits and vegetables. These have naturally occurring disease-fighting carotenoids and flavonoids. An easy way to add these to your diet is to replace foods like white potatoes or rice with sweet potatoes, and to stock the fridge with brightly colored tropical fruits. Things like mangoes and kiwis have these vitamins but are still yummy and won’t be something you force your family to eat. Clementine oranges and pink grapefruit make the perfect choice in citrus fruit and are great in fresh fruit salads, and you can make some terrific stews with butternut and acorn squashes. Get creative. You can even make mashed butternut squash to replace the usual mashed potatoes. Fruit juices can sometimes contain a ton of extra sugars and fillers, so it’s important to read the labels when picking juice for your home. Make sure your juice says 100 percent fruit juice and then read the ingredients so you know there aren’t additives. If you’re feeling extra motivated, consider investing in a juicer and creating your own fruit and vegetable concoctions. Using purified, filtered water, bright fruits and even some green veggies, you can easily create a juice that your family will love and that your dietician would likely recommend. Although fresh fruits and vegetables are ideal, it’s not always easy to find certain foods at specific times of the year. During the winter, fresh vegetables may not be as available, so frozen vegetables are a good substitute. It’s also good to pay attention to which fruits and veggies are available when. Squash tend to be more abundant in the fall, while spring time is good for certain berries and other fruits. Tomatoes are great in the summer. Try to plan your meals around the produce that is in season, and you’ll not only get produce that is more nutrient-dense, but they’ll taste better and cost less. One of the cheapest and easiest ways to eat healthy and boost your immune system is to drink purified water from a home water delivery service. Water purifies your body, helps nutrients to work in your system and keeps you hydrated. Hydration is super important when it comes to organs functioning as they should and fighting off any illnesses. Remember that not all water is created equal, so make sure you’re drinking clean, purified water whether it’s filtered from your tap or is delivered in bottles from a home water delivery company. Although cold weather can keep you from wanting to go outside - even in beautiful Colorado Springs - it’s important to make a few minutes every day to get some sunshine. Even as little as 20 minutes each day can make a significant difference in your mood. Psychiatrists at the National Institute of Mental Health agree that the bright morning light offers the most beneficial boost to the immune system, but getting outside in the afternoon is also helpful. How can you not feel good after seeing the beautiful view of Pike’s Peak and breathing the refreshing mountain air? Illnesses are often caused by a depressed immune system, which can come about as a result of Seasonal Affective Disorder (also known as SAD). It’s best known symptoms are lack of concentration and irritability, but researchers say it can be controlled by spending more time outdoors in bright sunlight. Vitamin D can help with regulating your calcium and phosphorus absorption and it’s suggested to protect against many diseases and conditions, according to Medical News Today. Life is busy, especially if you have a family, but that doesn’t mean you should be missing out on the sleep your body needs. Although sleeping too much can sometimes make you feel lethargic, not getting enough sleep can be super detrimental to your health. Unfortunately, getting a full night’s rest has become a rarity among overworked, stressed-out American families. Not only will sleep deprivation limit the production of disease-killing white blood cells, but it can keep you from remaining alert and cause stress. Doctors recommend eight hours of sleep for the average adult and as many as 13 hours of sleep for young children. This seems like a hard number to hit, so remember that there are other ways to cope with exhaustion and get your full eight hours of sleep in. Take naps when you can, and use the weekends to watch up on the snooze you’re losing during the hectic work week. Stress is different for everyone, and it can be triggered from work and bosses all the way to children or a spouse. Even people with the patience of a saint can had a hard time relaxing and remaining stress-free without finding the time to unwind. Unfortunately, stress is also known to be a primary factor in a person’s susceptibility to disease. Colds, flu, gastrointestinal disorders and headaches are all a common result of stress. Arthritis and other chronic pain syndromes are also linked to stress hormones. To reduce overall stress, make sure you’re getting the sleep you need and eating healthy foods. Also try to partake in regular exercise, which not only has a ton of heart health benefits, but also releases endorphins which help to put you in a good mood. Remaining healthy and avoiding common illnesses doesn’t have to be a chore. By changing your lifestyle and eating well, exercising, getting enough sleep and, of course, using a Colorado Springs home water delivery service to provide you with clean, purified water, you’ll be able to up your immune system and keep your family from catching a cold or the flu.